Five warriors were created at the dawn of time by the goddesses to help humanity. 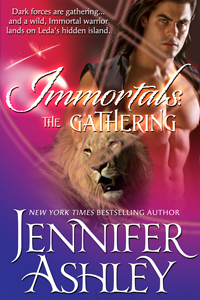 The ancient warriors have been nearly forgotten, though magic lives on -- in vampires, werewolves, the Sidhe, and other beings. Now they must be summoned to counteract the evil designs of Tain, an Immortal gone rogue. The trouble is, the Immortals are not very interested in the fate of the world any more, and four determined witches must convince them that their help is sorely needed. Please note that Books 2 and 3 (by Robin Popp and Joy Nash) are available only on Amazon, both in ebook and print. I was fortunate to be able to republish my books everywhere, but Amazon bought the rights to publish Joy's and Robin's books. 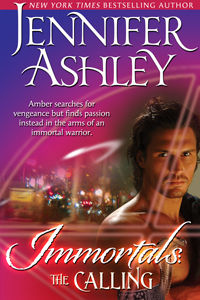 Visit http://www.immortals-series.com for more information on all the books.